Twelve men are facing criminal charges in connection with a Camden County network that allegedly sold outlawed "ghost guns" and cocaine, prosecutors said Monday. A year-long investigation dubbed "Operation Stone Wall" began in November in Lindenwold, where state police and the division of criminal justice first targeted alleged cocaine distribution activities but also uncovered an alleged criminal network coordinating the sales of untraceable AR-15 assault rifles. These "ghost guns" — unregistered firearms without serial numbers — were outlawed in New Jersey in November. In this case, they were assembled using parts from kits purchased online, according to prosecutors. The weapons then allegedly were sold for prices ranging from $1,100 to $1,300 per firearm. The 12 arrests, including four men linked to ghost guns, were all made between March 8-14. During the operation, authorities said they captured two of the defendants discussing how they would adjust to the new law signed by Gov. Phil Murphy. Paul Corum, 43, of Lindenwold, allegedly told 38-year-old Nicholas Cilien, of Mt. Ephraim, how they would proceed with obtaining and assembling gun parts. The two allegedly were discussing the delay of a gun sale and how parts for two new assault rifles would be shipped to an address in Bensalem, Bucks County, authorities said. Those parts were intercepted by authorities on March 13. “This case starkly illustrates why ghost guns are so dangerous, because drug dealers and other criminals can easily acquire them and traffic them into our communities, where they will be virtually untraceable if used in a crime,” said New Jersey Attorney General Gurbir S. Grewal. 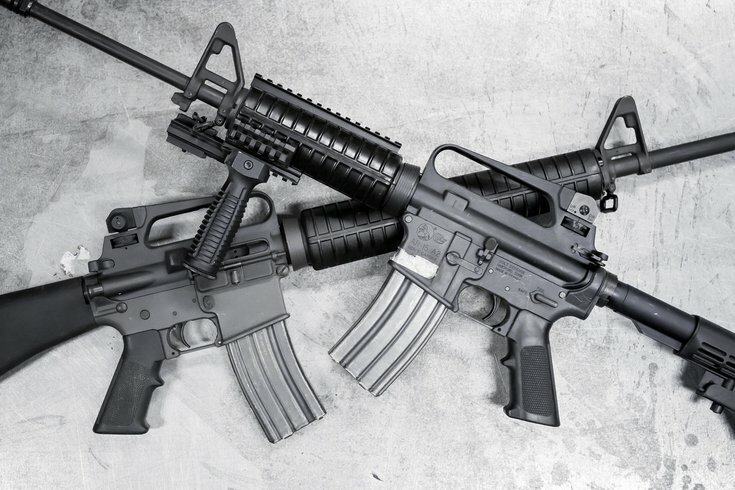 “Assault rifles like these pose an especially deadly threat to law enforcement, innocent bystanders, and others when placed in the wrong hands, and suffice it to say no one conducted any background checks here." During the investigation into the 12 defendants, authorities seized 525 grams of cocaine (street value of $18,500 to $37,000) three bundles of heroin, 3 1/2 pounds of marijuana, prescription pills and more than $20,000 in cash. The identities of the defendants and the charges they are facing can be found here.